Network security consists of the policies and practices adopted to prevent and monitor unauthorized access, misuse, modification, or denial of a computer network and network-accessible resources. Network security involves the authorization of access to data in a network, which is controlled by the network administrator. Users choose or are assigned an ID and password or other authenticating information that allows them access to information and programs within their authority. Network security covers a variety of computer networks, both public and private, that are used in everyday jobs; conducting transactions and communications among businesses, government agencies and individuals. Networks can be private, such as within a company, and others which might be open to public access. 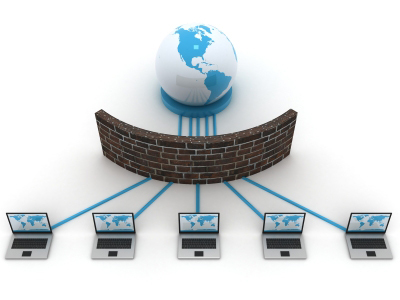 Network security is involved in organizations, enterprises, and other types of institutions. It does as its title explains: It secures the network, as well as protecting and overseeing operations being done. The most common and simple way of protecting a network resource is by assigning it a unique name and a corresponding password. Network security is concerned with granting access to a network to the authorized users, and denying access to a network by the unauthorized users. It encompasses the actions to prevent attacks from viruses, worms, and Trojan horses; spyware and adware; zero-day/zero-hour attacks; hacker attacks; denial of service attacks; data interception and theft, and identity theft. A network security consists of many hardware and software components. The course teaches students the three important network security measures: 1) how to protect vital information and allowing access to them only to authorized users, 2) provide authentication and access control for resources, and 3) guarantee availability of resources - computers, servers, and other devices. It teaches students all key network security tools such as firewalls, intrusion detection systems, ingress filtering, IDS, IPSec, encryption (SSH, SSL, HTTPS). CADD Centre’s STAAD.Pro training covers all applications of Network Security. Major job providers for network security professionals are financial institutions and banks, internet service providers, pharmaceutical companies, government and defense agencies, and multinational corporations. Administrator - Network & Security, Network Security Engineer, Technology Expert - Network Security, Network Security Analyst, Network Security Specialist, and Network Security Manager are some of the popular job openings in this domain.